Safe, Dry and Spacious! Navigo is the most popular of our lines, due to the boats' unique design characteristic s, which are often imitated but never duplicated. navigo boats provide all the features you expect in a top-quality tender: easy planing and balanced design ratios; hulls with built-in stringers for enhanced performance and durability; non-skid fiberglass decks for improved safety; the most interior space of any comparable boats on the market; and a raised bow and large-diameter tubes for a dry and comfortable ride. 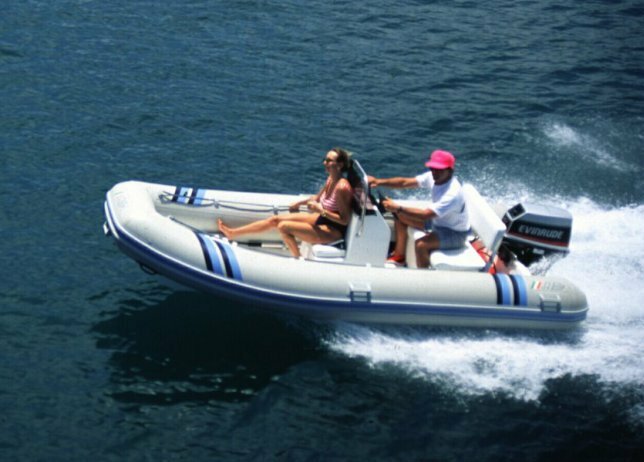 Navigo boats have features that every boater wants, the quality workmanship that our customers have come to expect, and those extra details that our most discriminating boaters demand. Whether you are a cruising sailor or keep your boat on a mooring, Navigo boats are made for you.